Exotic & unusual plants. Landscape design. Concept Botanica- Wholesalers for the landscape/nursery trade. One or two traders on Trademe are selling what they say is galangal. What they are selling is in fact the common white-flowered ornamental 'Butterfly Ginger', Hedychium coronarium from the Himalayas. Some organic growers have also started selling this fake galangal in Farmer's Markets to unsuspecting Kiwis... it tastes nothing like galangal and is mildly toxic if eaten in more than tiny amounts. Please check you are buying the real thing! We sell it!! 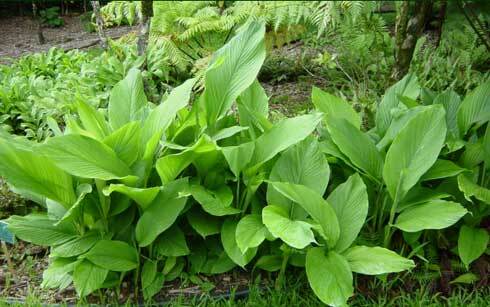 Galangal DOES NOT have perfumed white flowers and DOES NOT grow readily outdoors here in NZ. 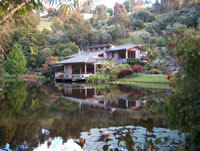 A magical garden and subtropical nursery set around a small lake in a hidden coastal valley behind Matapouri Bay, Northland New Zealand. 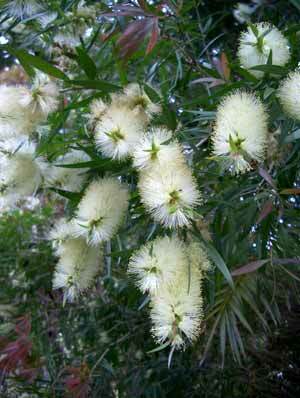 We are specialists in new and unusual subtropical plants for NZ conditions. 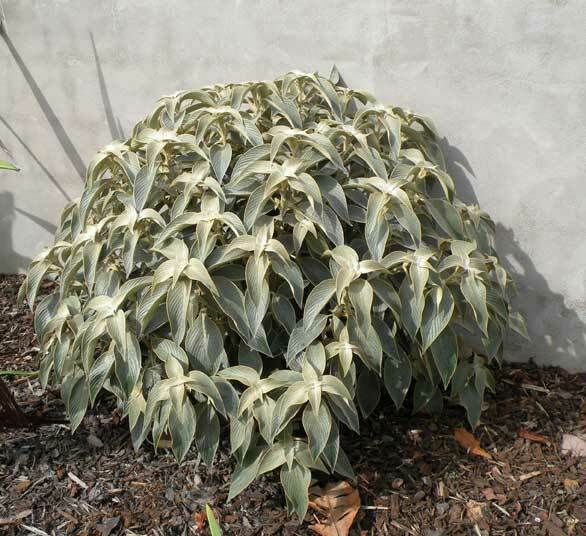 We sell from the nursery as well as mail order and delivery to gardeners and landscapers throughout New Zealand. Visitors are very welcome to explore both the garden and the nursery on the weekend and public holiday (Closed Xmas Day and New Year), 9am - 3pm and by arrangement during the week. Sadly, Russell passed away on the 5 December 2017 at Whangarei hospital after a short illness. Russell's partner, McGregor (Mac) in the meantime will continue to manage the nursery. PLEASE be patient with any orders that you have placed over the last few weeks, we are working to have them dispatched as soon as possible. 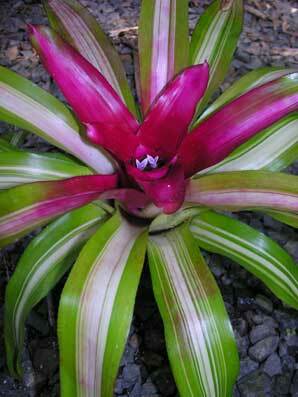 Maureen is world-renowned for her remarkable collection of rare and unusual bromeliads and her many successes breeding new varieties in her 'Karamea' series. 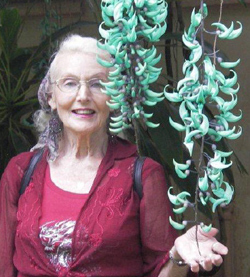 She sends her plants all over NZ by courier. You can also visit her nursery by phoning her to make an appointment. The turmeric plants are ready! FINALLY! The planting season for tender subtropicals STARTS in October and continues till late February. Autumn/Winter can be fatal times to plant Hibiscus and bananas and some other tender tropicals! RULE of THUMB: Plant subtropicals when conditions are subtropical. 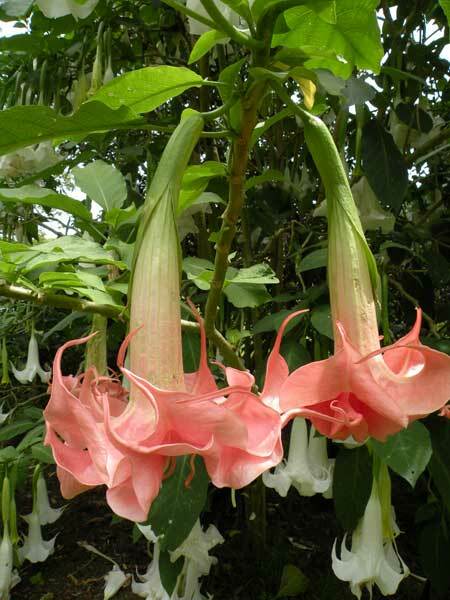 Brugmansias or Angel's Trumpets are one of those unforgettable Summer perfumes. Our turmeric plants Curcuma longa will be ready for sale and planting out in November. Order asap. And newest double pink Brugmansia 'Charlotte' shown above. © 2006 All images, photographs and text are copyright protected. If you would like to use any of the photographs or publish any of the articles please contact Russell Fransham by email.